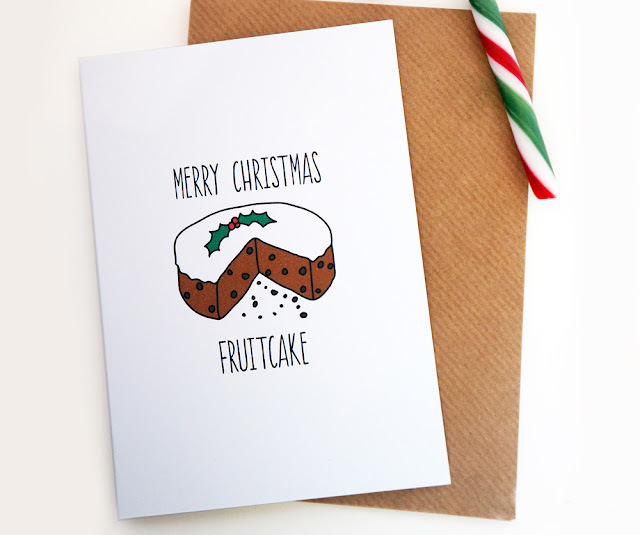 Today I have a little festive treat in store for you! An old friend of mine recently got in touch to say that her fabulously quirky greetings card company Lost Marbles Co had just launched a totally bonkers new Christmas range of greetings cards, and she asked if I'd like to feature them on this lil ol' blog of mine...as soon as I saw them I jumped at the chance, the cards really are just so brilliant and right up my street. 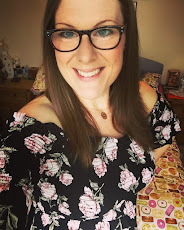 It wasn't until I clicked through the products on Kat's site and recognised the 'old tart' birthday card that I realised I'd purchased one of her birthday cards in a lovely independent children's book shop down the road from me in Bedford just the week before! I had no idea it was Kat's company - I just saw the card and LOVED it. What are the chances? Coincidence is such a funny thing and I'm so glad that she thought of me when it came to spreading the word about her super fun illustrated cards. 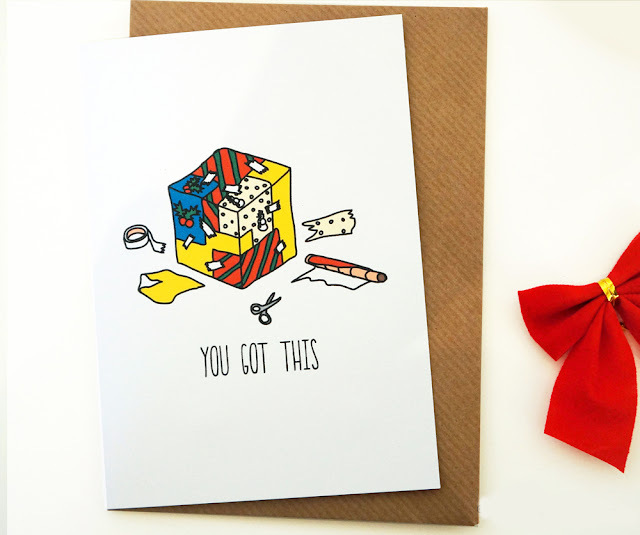 Not only are they full of joy and humour, Kat's cards are really beautifully illustrated and so colourful. 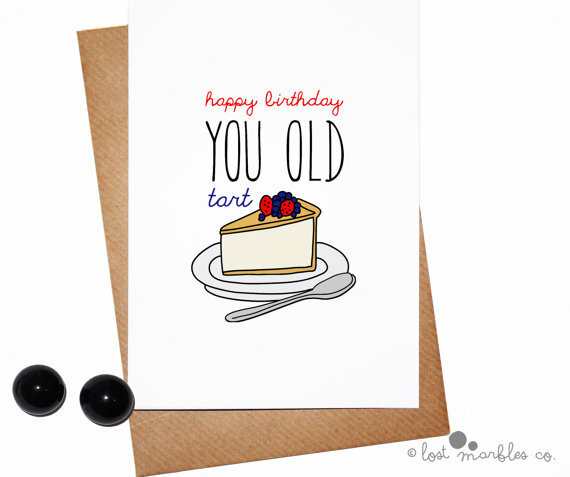 This 'old tart' card is the one I purchased without knowing it was by Kat - I sent it to my lovely friend Emma for her birthday as I knew she would just love it. It's such a gorgeous illustration with such a tongue-in-cheek message. Perfect. Then I browsed through the Christmas range and honestly struggled to select just four cards to keep for myself - they're all SO good. This one is being sent to a very beardy friend of mine. 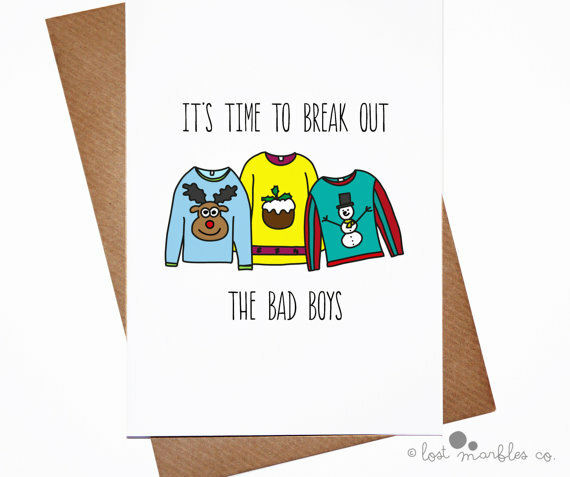 And as soon as I saw this xmas jumper card I thought of a good friend of mine who has a bit of a 'thing' for xmas jumpers! She'll love this I'm sure. 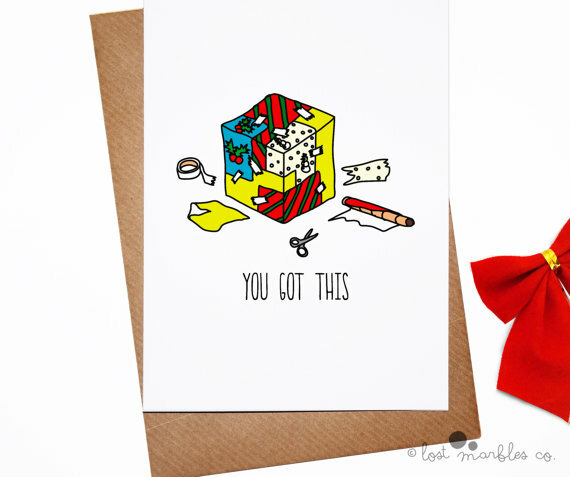 Because we all know someone who is totally rubbish at wrapping, right? 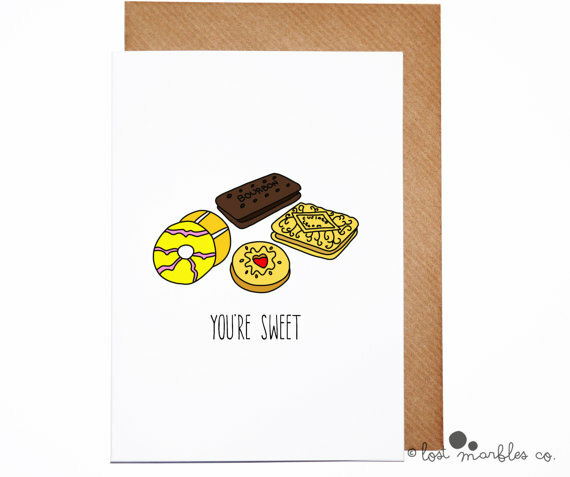 I literally cannot wait to send out these cards - I have a recipient in mind for each special card and I feel sure they will just love the joyous sentiment and humour - who doesn't love a card that makes you proper belly laugh? I'm chuffed to bits with the quality and attention to detail of each card: I even got a cute little set of envelope stickers thrown into my package too, thanks Kat! 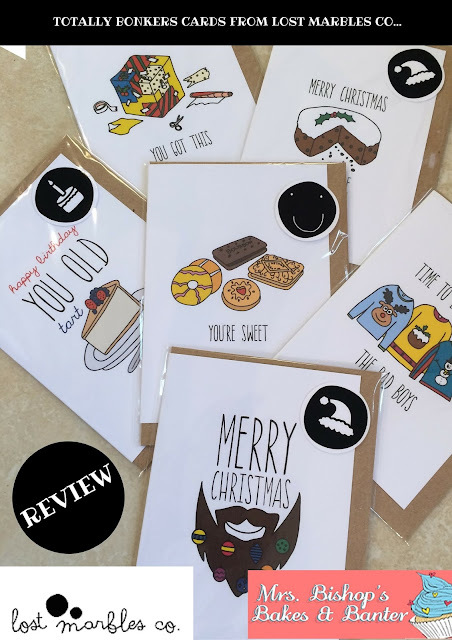 All of Kat's cards retail at £2.75 each plus shipping OR you can buy a set of 8 cards for £12 or a set of 15 cards for £20. 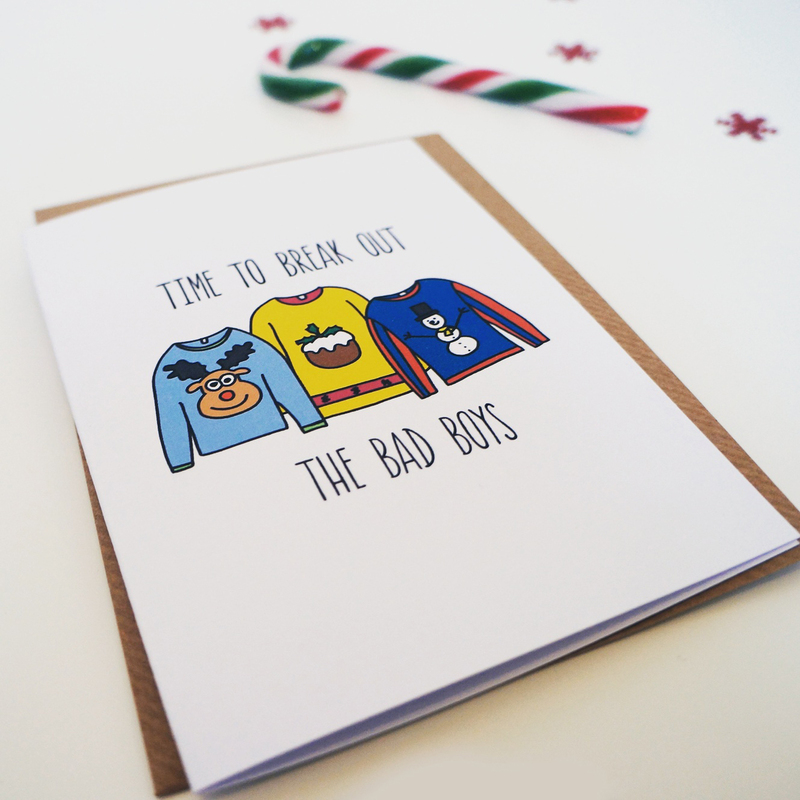 Christmas Jumper card - I can't wait to break out my bad boy this year! 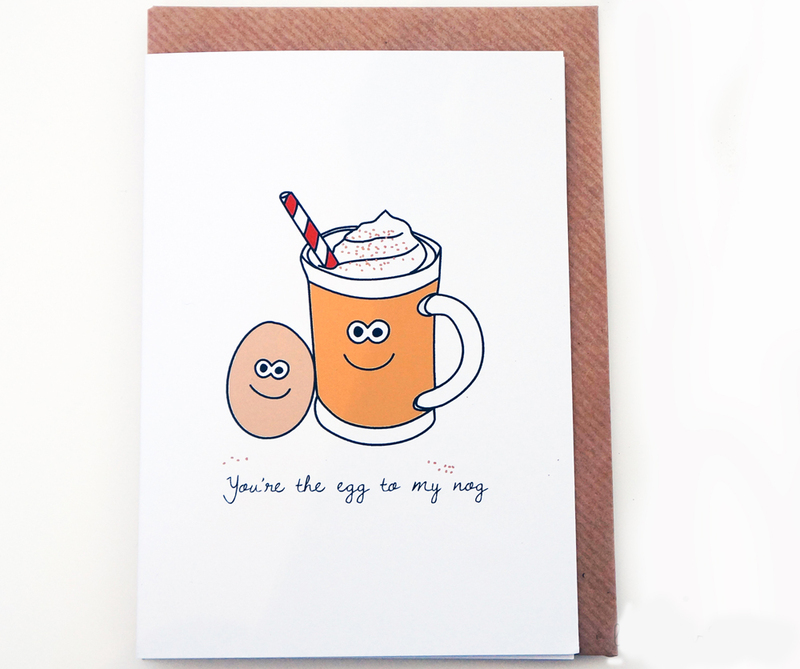 You're the egg to my nog! He he he. For the bah humbugs in your life! Yep. Pretty much how every gift I've ever received from my brother looks. Wrapping isn't his strong point. 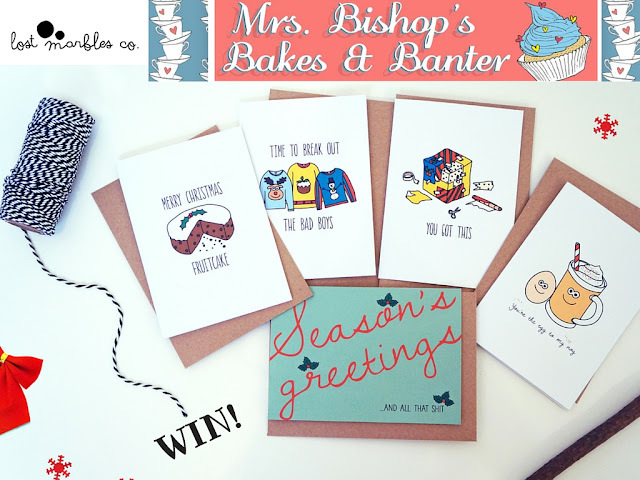 If you'd like to be in with a chance to win the set of 5 fab Christmas cards from above then enter via the Gleam app below! WIN these 5 totally bonkers Xmas cards from Lost Marbles Co.
Disclaimer: I was sent greetings cards from Lost Marbles Co in return for this honest review. I think the Shopping List Notepad is cute and handy! "You're ok" card is awesome. I love the "Merry Christmas But First Here's a Unicorn" card. 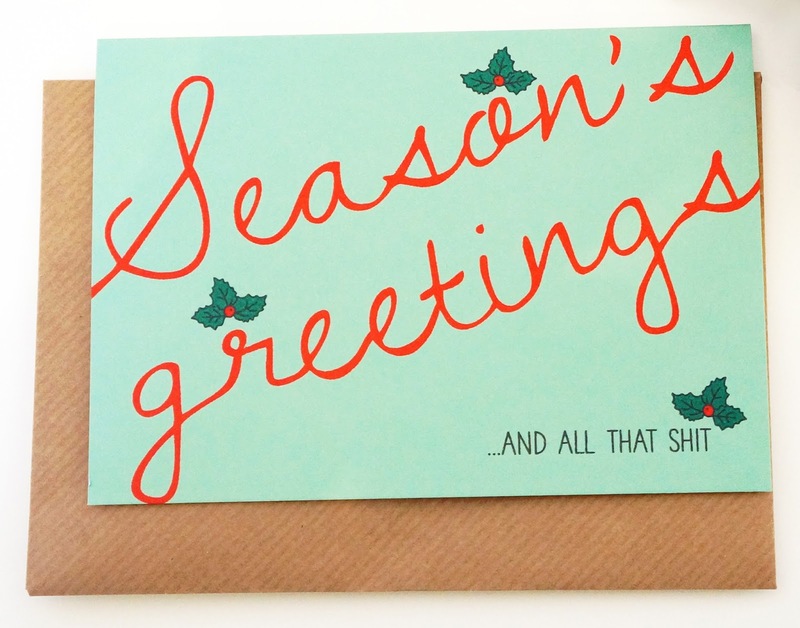 I like the rude Christmas cards - ideal for my wife! 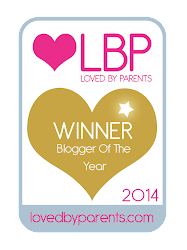 love the you big baby Christmas card!! I love the 'You're My Penguin' design as I love penguins! I bought one of their "You're Pretty Awesome" cards from Rogan Books in Bedford. It's currently in the hall way ready to be despatched as a birthday card - I did really like it though so might have to go and get another one! I love the 'I miss you card' - really cute! I love the You're My Penguin card. I love penguins. I love the 'Happy Birthday you old fart' card...perfect for my dad! I love the Merry Christmas But First Here's a Unicorn card! 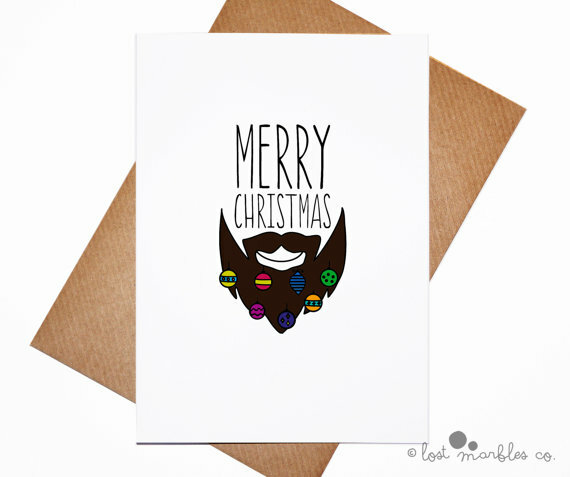 I love the beard Christmas card - we have someone in the family with a fantastic beard, and I'm trying to persuade him to decorate it for Christmas! Love all the funny cards. Hilarious! I like the You're my Penguin wedding card! 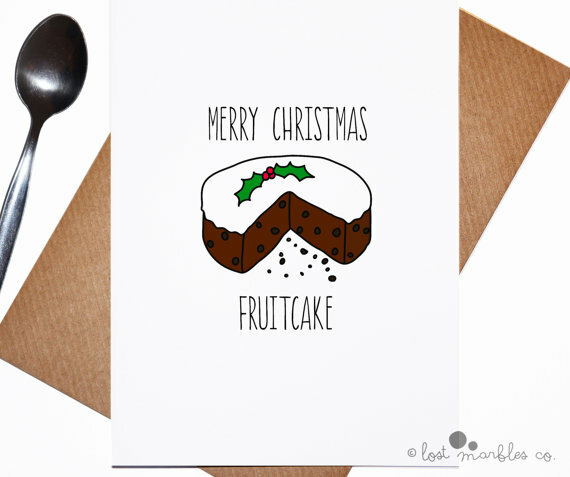 My pals would love the rude Christmas cards!